Music by Pearse McGloughlin and Enda Roche. Produced by Darragh Nolan at Asta Kalapa, Gorey 'Whale Song' is a single from Irish group Nocturnes' new album 'The Soft Animal'. The piece is inspired by the song whales use to communicate and it draws parallels between these great ocean creatures and our human selves. The sea represents our unconscious, our spiritual depths and the song gives voice to a desire to live lives of connection, nobility and strength. Kevin McGloughlin has directed a number of videos for his brother Pearse, songwriter with Nocturnes. For 'Whale Song' Kevin combines animated footage and live action footage to mesmeric effect, creating an imagined astro-aquatic environment which is both the sea and the cosmos, the aquatic and the astronomic. Kevin on his approach to the piece 'After many a chat with Pearse over the course of the album I had a good idea of where the song was coming from. So it was a matter of visualising an already painted picture. I took quite an expressionistic approach to the video, not worrying much about realism and detail while putting my focus on creating an immersive experience for the viewer. We felt a surreal mix of the ocean and the cosmos fitted nicely, highlighting the depth of the ocean and the depths within ourselves'. Released in both Irish and English language versions, Rapture is a track that deals with power and change, fear and the solace in ritual - things that bind everyday folk to this world. Written against our modern backdrop of political flux, the song strikes a hopeful tone, about finding the space to nurture oneself amidst confusion. The follow-up to single 'Humans', the Irish translation is 'Lúcháir'. Led by Sligo native Pearse McGloughlin, Nocturnes weave a unique blend of meditative folk-noir - with lyrics that are both emotionally resonant and spiritually uplifting. Drawing imagery from childhood and parenthood, Nocturnes sound is at once both atmospheric and immediate, drawing the listener in to themes of the natural world and soft-focused introspection. Debut LP The Soft Animal is songwriter Pearse McGloughlin’s first album release since the birth of his daughter, and a more personal record than previous works. A transformed creativity and time of reflection has resulted in an emotionally resonant album drawing from childhood and parenthood, and human spiritual and animal nature. The Soft Animal features Choice Music Award winning Adrian Crowley on lead vocals for ‘Heikegani’; Pearse’s long time collaborator Enda Roche on multiple instruments; Christophe Capewell on violins and Christian Volkmannon harmonica for 'On The Mississippi'. Produced at Asta Kalapa studios by Darragh Nolan, the album was largely recorded in live takes creating a heady organic impact. A follow-on from his previous collaboration with friend and composer Justin Grounds (a concept album of electronic chamber songs based on Fyodor Dostoevsky’s The Idiot which The Irish Times described as breathing ‘life and art into electronic music’) The Soft Animal is a new departure, in essence an ambient first person narrative. The Soft Animal interweaves intentionally lo-fi recordings with rich production to create an expansive range of sounds and emotions echoing influences as diverse as Sufjan Stevens and A Winged Victory for the Sullen. Follow-up single Humans is a song about resilience and courage in the face of difficult times, It was recorded in both English and Irish versions. 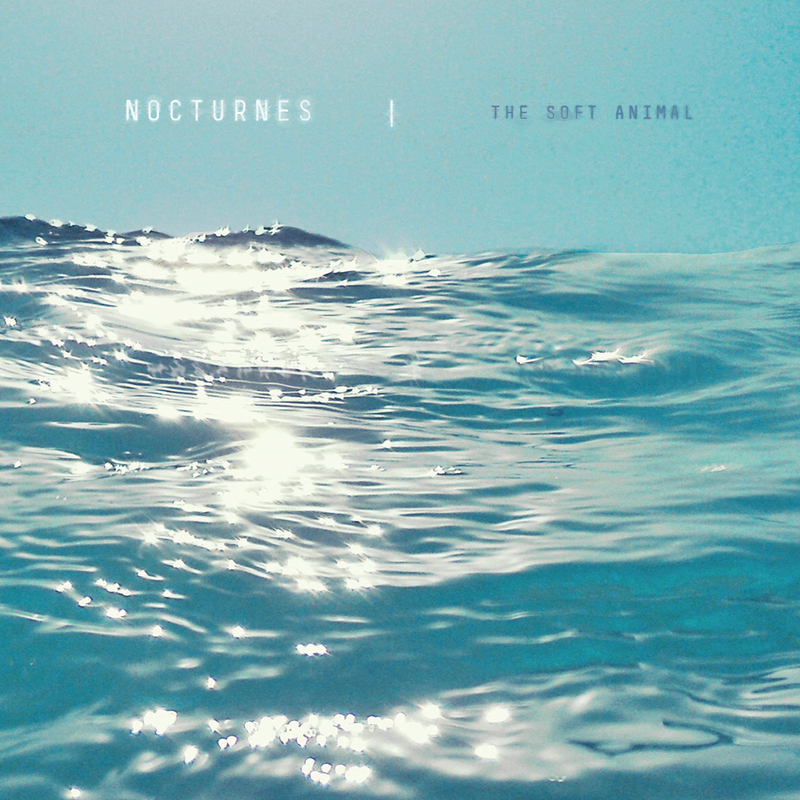 Nocturnes - 'Serpents' (Live at Songs by the Sea / Cairde Sligo Arts Festival 2016) This is a live performance by Nocturnes of their song 'Serpents'. This live performance took place at 'Songs by the Sea' at Shells Seaside Café in Strandhill, Co. Sligo - during the Cairde Sligo Arts Festival on July 6th 2016. This video was filmed by Mark Willis and Kevin McGloughlin (https://vimeo.com/user2184989) and edited by Pearse McGloughlin. Live audio recorded by Mark Willis.